As a child, Leslie Martens watched with great respect as her uncle spent thirty years on the family farm providing care to his brother, who struggled with progressive Multiple Sclerosis (MS). As often happens, the caregiver’s health declined, and the uncle with MS outlived his brother. The placement of Leslie’s surviving uncle in a long term care facility was traumatic for the entire family. As a young adult, Leslie was hired to help a neighbor care for his wife who was wheelchair-bound due to polio. She understands that families rally around their loved one, but often need assistance from others. She also knows how devastating the costs of long term care can be. Impacted by these experiences, Leslie attended St. Olaf College in Northfield, Minnesota, where she earned a Bachelors Degree in Nursing. She worked as a physical rehabilitation nurse in a Minneapolis hospital and then became Director of Nursing at a long term care facility. These experiences led to a career transition when she became a Long Term Care Specialist with Northwestern Mutual. She joined Newman Long Term Care in 2006. She assists couples, families, business owners, employers and employees in planning for and managing the personal and financial risks of long term care. Leslie welcomes your interest in learning how you can protect your financial future. Using an educational approach, she is happy to walk you through the decision making process of long term care planning. Leslie is a member of the American Association for Long Term Care Insurance, and has earned the Certified in Long-Term Care (CLTC) professional designation. 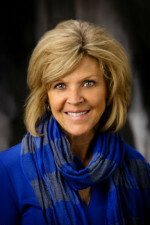 She has twice been named the leading Long Term Care Insurance Specialist in Minnesota.